Look at the best squatters in the world and you’ll notice there’s a lot of differences in the way they squat. Different positions for the head, hands, wrists, bar, and feet. Some descend slow, some fast. Some are bent over, others are upright. Basically, there are a lot of different ways to setup and perform it. One thing that all good squatters want is stability. 2) Neutral spine. Keep your bottom rib in your belt buckle. 3) Take a big breath of air into your lower back, getting your entire lower torso to expand. Get fat with air and hold your breath. 5) Get tall into the bar, pull your traps, chin and shoulders hard into the bar – create tension. Bracing properly is a skill unto itself. 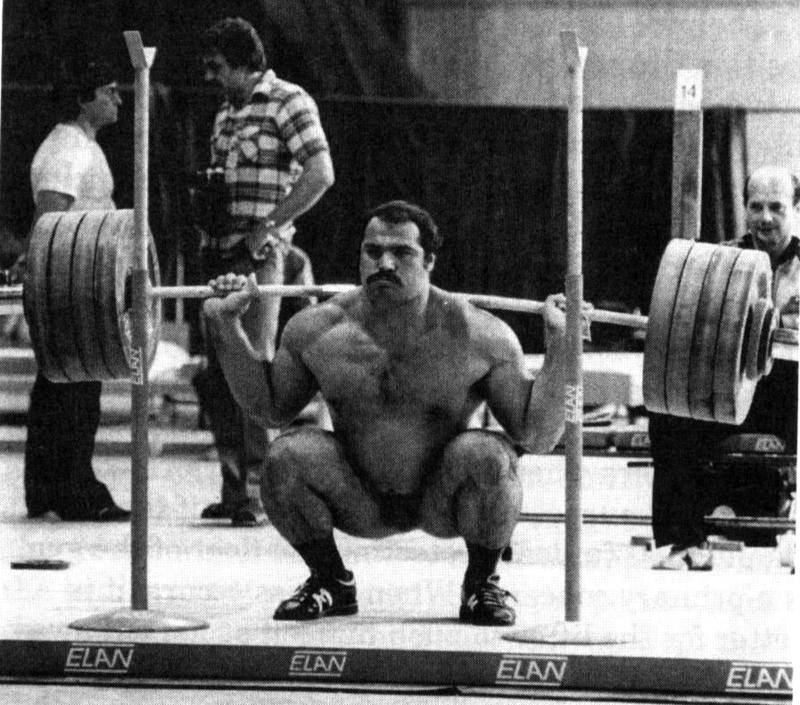 It takes time to perfect just like the squat. Steps 3 & 5 can be challenging if this is a new concept to you. Keep your lower back and glutes on the post/rack. Keep your shoulders and traps off the post. Practice breathing into your lower back. This may take several breaths. Go until your feel your lower back expand into the post upon inhalation. After filling your lower back with air, flex your abs hard. Drive your traps, chin and shoulders into the post and try to push it over for 5 seconds. Practicing this drill will improve your ability to create tension through your whole body and to the bar. The tighter you are to the bar and throughout your body, the more weight you will safely move. Following these steps allows you to maintain proper position throughout your lift, letting you move heavy weight safely and efficiently. If you have any questions, or are just looking for a bigger squat, sign up for my newsletter for more great strength training information or send me an email at adamnpine@gmail.com with “SQUAT” in the subject line. This entry was posted in Uncategorized on January 13, 2015 by adamnpine@gmail.com.